Suffice to say, the manufacturers of outdoor gear, apparel and accessories haven’t always greeted women interested in backcountry travel with open arms. Oh how times have changed, and for the better! Celine Adair, co-founder and director of operations here at The National Center for Outdoor and Adventure Education (NCOAE), will address the specific clothing and gear requirements for women who prefer their hikes to be more vertical in nature than horizontal and don’t think the term “roughing it” means room service is going to be late. 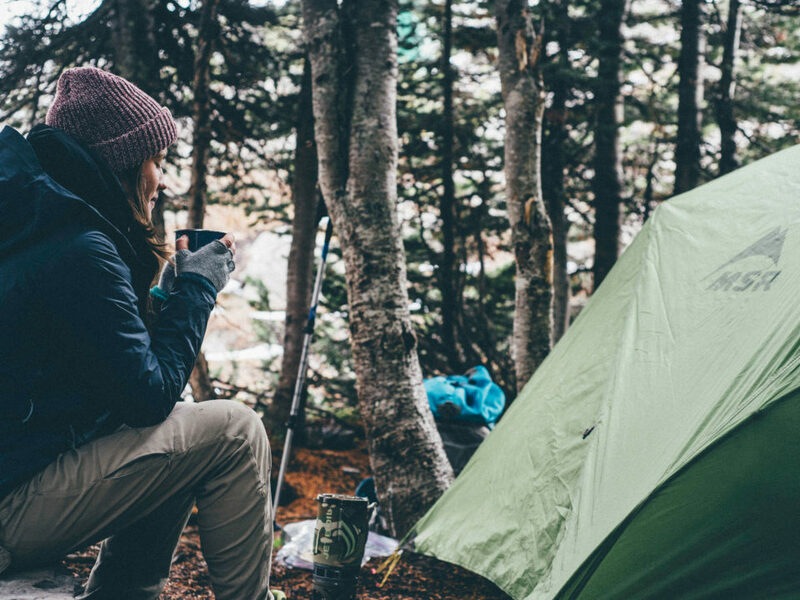 Outdoor clothing and equipment manufacturers didn’t truly recognize the potential for women’s wilderness equipment and accessories until about a decade ago. It’s not that they didn’t know there’s a difference between men and women. It was more the case of “one size fits all” when it comes to outdoor gear. Editor’s Note: In our continuing effort to introduce the staff at The National Center for Outdoor & Adventure Education (NCOAE), we decided we’d go straight to the top of the ladder and quiz Celine Adair, our co-founder and director of operations. Celine is in charge of a lot of things here at NCOAE, including grant writing, staff development, policy development, curriculum development, office management, student and parent liaison, and some billing and bookkeeping in her free time. Originally from a small town about an hour north of New York City, Celine majored in wilderness therapy and marriage and family therapy, receiving a Bachelor of Arts degree in 1999 from Prescott College (Ariz.) and a Masters degree in marriage and family therapy in 2005 from Argosy University. NCOAE: So how did a girl from Brewster, N.Y., end up in a college in Prescott, Ariz.? 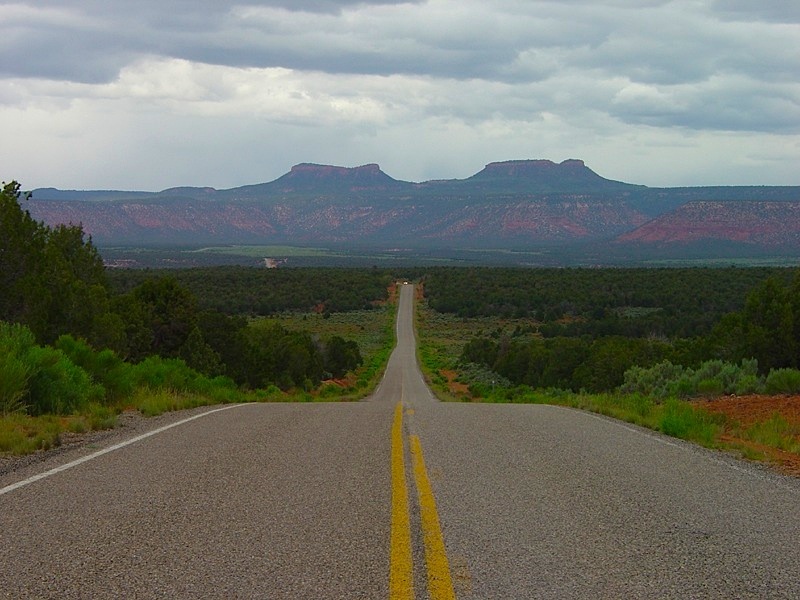 Celine: It was big wonderful chain of events that lead me to Arizona. I was awarded a soccer scholarship for a Division III school in Virginia. When I arrived, I immediately knew I was in the wrong town and at the wrong school. To make things worse, I injured my ankle in the preseason and was unable to play a lick of the game that got me there. I was young and I didn’t have the courage or insight to do anything about my unhappiness, so I quickly turned into an unmotivated freshman. That spring I crossed paths with a director for a summer camp in North Carolina who offered me a job because she saw that I worked well with kids. The director asked what are my special interests were and I referenced the environmental group ‘Unless’ that my best friend and I started in high school. The director put me on the backpacking and rock climbing staff, thinking it would be a good fit. By the end of that summer, I had slept out under the stars more nights then I was inside under a roof — and I thought that was the greatest concept ever! Before that summer I had never even seen a backpack, a camp stove or a topo map. However, my first attempt of living this new dream was a failed mission. I applied for a job in Utah to lead three-week-long backcountry courses. They turned me down, big time. I still remember the phone interview — which was really more like HR lecturing me that I was too young and inexperienced. I didn’t want to return to school, in the wake of my freshman year failure where I achieved horrible grades and had a throng of not-so-great people hanging out in my dorm room. I came across Prescott Colleges’ 1996 course catalogue and I thought, “This is were I need to be.” So I made it happen. I came up with a plan and I implemented it. I pick up my grads, became a certified EMT, trained and worked on the Gauely and New River and applied to transfer to Prescott my junior year. Celine: That same summer I was hired at the camp, I climbed “The Daddy,” which is a classic climb in Linville Gorge, N.C. It’s an easy climb, but long and exposed. The last pitch is a summit pitch and when you top out, you are on this beautiful mountaintop in an amphitheater of rock. I had a feeling of being limitless. And then, of course, there was the adventure of giving birth to my son, Sawyer. NCOAE: On a scale of 1 to 10, how weird are you? Celine: Not at all. I mean, I guess a little. It really depends on the day and if I’ve had my exercise. Things can get weird when I don’t.